It'll take several more years for a similar event in the US, sad to say. Only up until very recently, American Skyline enthusiasts couldn’t own the iconic R32. 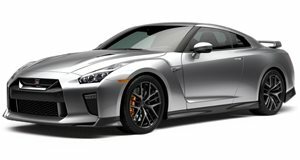 If you wanted anything with remotely similar pedigree, you had to spend big and go for the Nissan GT-R, also known as the R35 in Skyline circles. Fortunately that 25-year R32 import ban has come to an end, but its direct successors, the R33 and R34, are still off limits. That’s clearly not the case in the Middle East region of our world, specifically Ras al-Khaimah, which is one of the seven emirates that make up the United Arab Emirates. Crank and Piston was on the ground there to take in the wonder that is the biggest Skyline meet in the Middle East. We should all be jealous. As far as this Skyline meet up goes, everything you could ever want in Skyline awesomeness is there: R32 through R35. Not all of these Skylines are completely stock (although some look to be), but that really shouldn’t surprise anyone. After all, people everywhere love to modify Skylines. Well, not quite everywhere. For the record, that US import ban is just plain dumb.